Desmoplastic fibroblastoma is my spot. 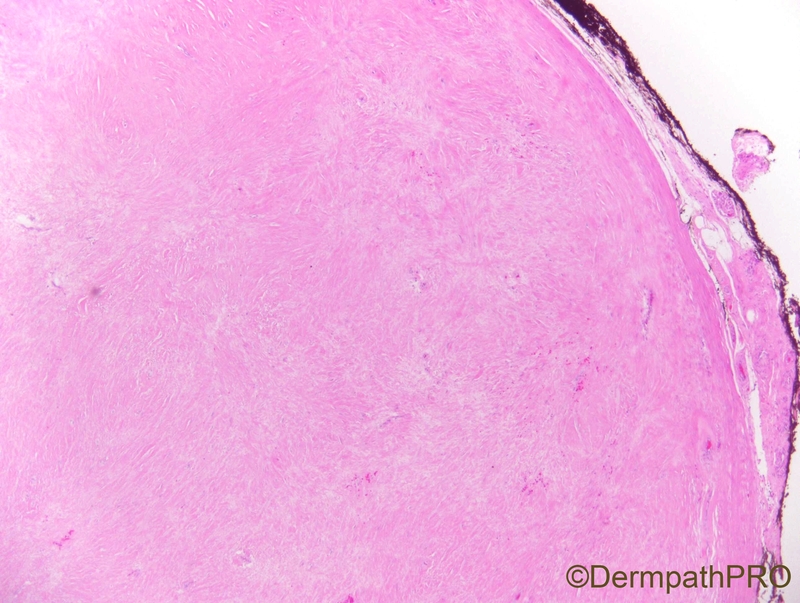 Stroma is collagenous and myxoid. I think it's a superficial acral fibromyxoma. Hypovascular collagenous and focally myxoid tumor. Upper extremity. 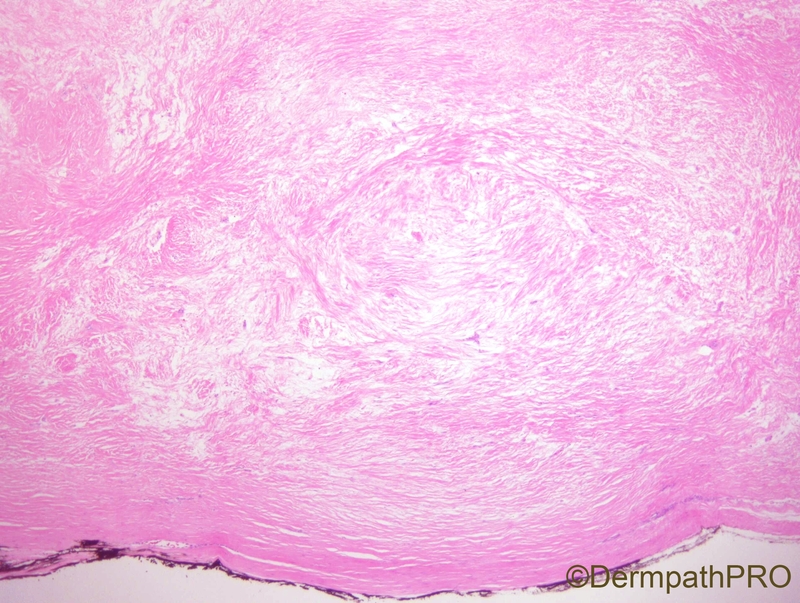 Not zonal pattern of fibroma of tendon sheath. Agree with Alex: Desmoplastic Fibroblastoma. Desmoplastic fibroblastoma for me too. 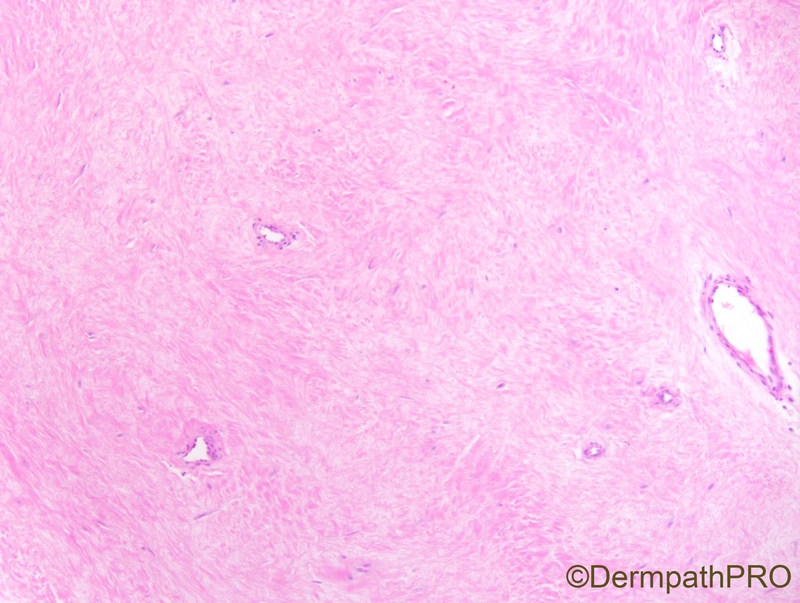 It appeared to be arising from tendon so I favoured a fibroma of tendon sheath. I find these "bland" spindle / collagenous lesions a challenge and don't pretend to be correct! Maybe Raul will comment. 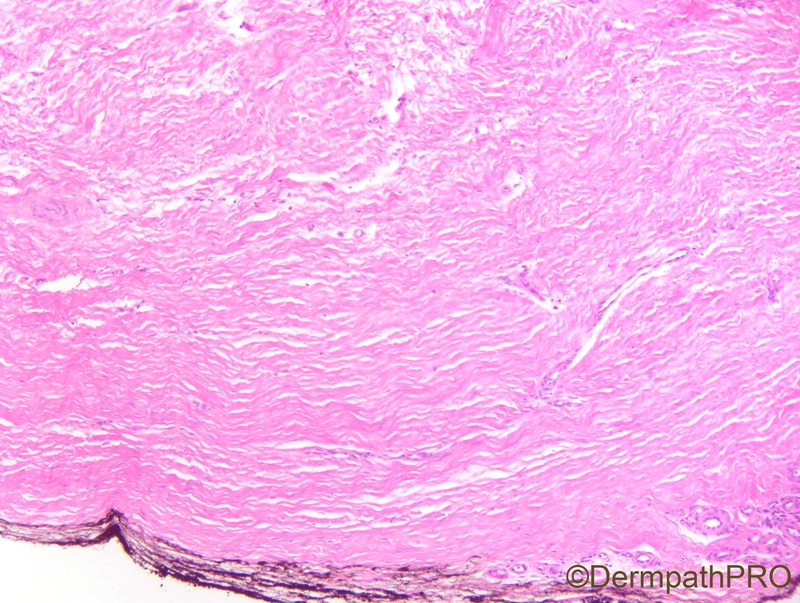 Differentiating desmoplastic fibroblastoma and fibroma of tendon sheath is sometimes difficult and sonewhat arbitrary. 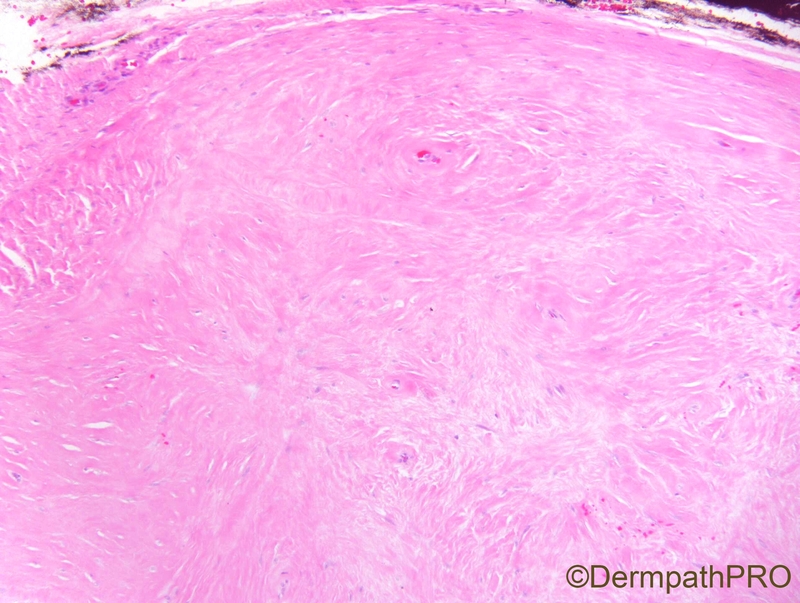 In general fibroma of tendon sheath tends to be deep and attached to tendons (usually from the hands and fingers), lobulated and more vascularized than desmoplastic fibroblastoma. I tend to discuss this in my reports mainly when dealing with hydrid lesions. Anyway, these lesions are completely benign so I do not sweat a lot when signing them out. 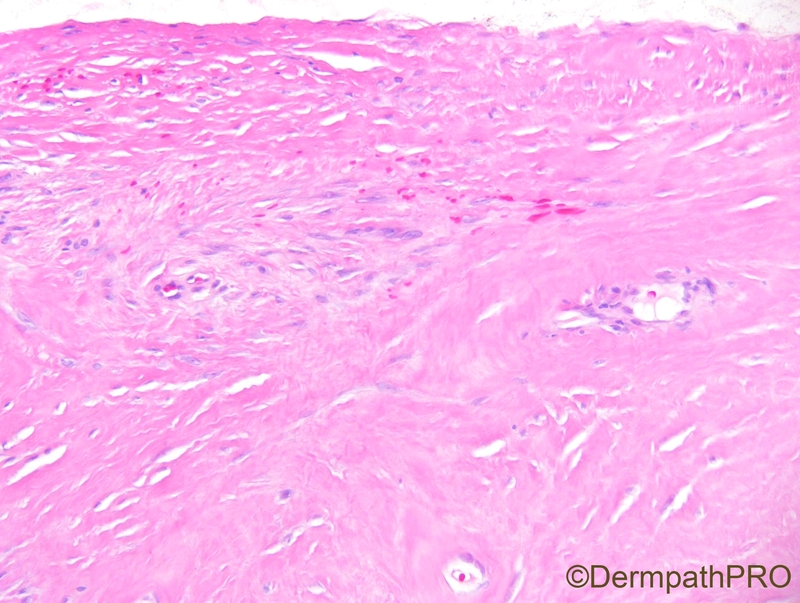 In this particular case, due to topography and the prominent blood vessels I would favour fibroma of tendon sheath.